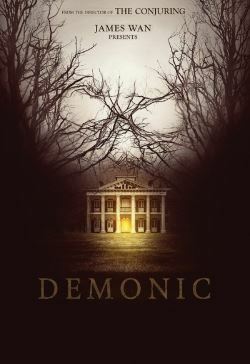 In Louisianna,Detective Mark Lewis is summoned to attend a call from the notorious Livingston House and he finds three bodies and one survivor, John, who is in shock. He calls for backup and also the police psychologist Dr. Elizabeth Klein to interrogate John. They learn that the team of ghost-busters Bryan, John's pregnant girlfriend Michelle, Jules, Donnie and Sam decided to perform a séance in the house, where the owner Marta Livingstone had committed a violent slaughter, to summon their spirits. The séance went wrong and released evil spirits that killed Jules, Donnie and Sam; however Michelle and Bryan are missing. While Elizabeth interrogates John, Mark and the technical team tries to retrieve the hard disks with the footages from the house to find where the other two survivors may be, Detective Lewis discloses a dark supernatural secret about John.